The Rambler American was a built by AMC starting in 1958, and is closely related to the 1955 Nash Rambler (the older Nash version was known as the "Bathtub" for its styling with front full wheel covers - pic here.) 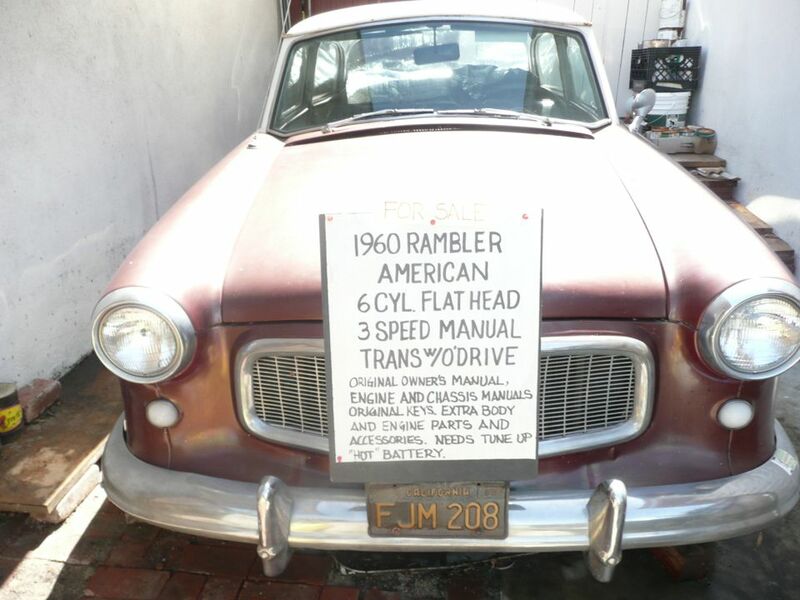 When Nash merged with Hudson to form AMC (in 1954) it moved the Rambler name upmarket under the Nash & Hudson names, but when it needed a new compact in 1958, it reintroduced the old 1955 car under the Rambler brand as an American. This 1960 Rambler American is for sale for $2800 in the Los Angeles South Bay area via craigslist. Much better - above is the non acid-trip version of the car as it sits today. 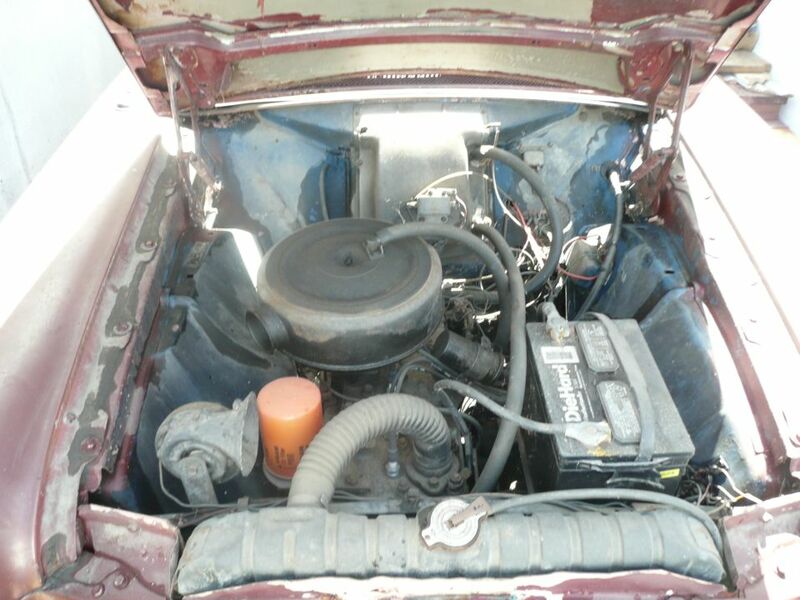 This Rambler American looks to have most of its trim, body pieces and assorted mechanical bits. It even has several buckets of 'parts' that go with the car, but at this price you can't expect much. Car nerd bonus: it wears a pair of early '60s-vintage California black plates, which could be state-issued replacements provided to this car's owner when all registered cars were changed over to the new design in 1963. The American is powered by a 3.2 liter flat head inline 6 that put out 90 horsepower and achieved remarkable fuel economy for its time. So remarkable that it won most of the "Mobil Economy Run" events that took place during the late 1950s at an average of 25 miles per gallon. The Mobil Economy Run was a long distance coast-to-coast fuel economy competition put on by Mobil Gas, for which the big-three lobbied to have the American banned from competition because it slaughtered every Ford/Chrysler/GM competitor. 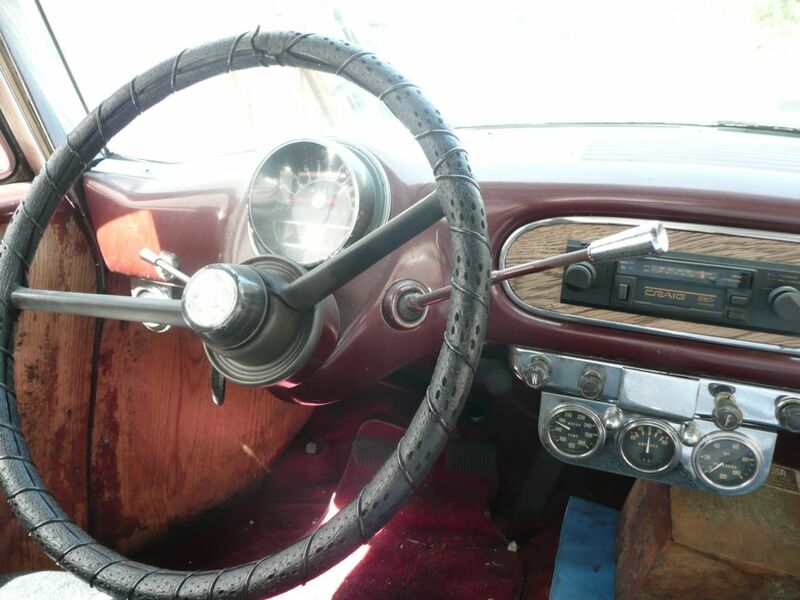 You can't expect much from the interior of a sub $3000 classic - and this example has a few non-original parts clearly in view (radio, gauge cluster), and it would be best to understand what its going to cost you to restore this interior to useable condition. The aftermarket gauges under the dash look to be vintage Stewart Warner units (the SW logo is at bottom center) and if so, are actually worth some money these days - maybe $50 to $100 each. Not many craigslist posts have hand written permanent for sale signs featured in the ad - so likely this car has been for sale for a number of months (years?) in a little traveled back alley by someone with minimal internet capabilities. Take these facts into consideration when contacting the seller. Ahhh my eyes! 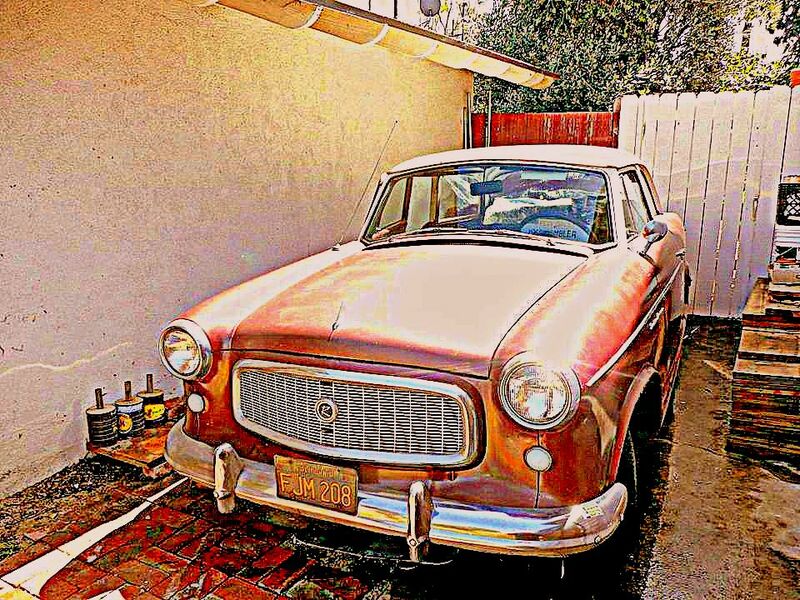 HDR pic aside, this could be a real find if its rust free and easy to get back running. "HOT" BATTERY! We are equally confused about the "HOT" battery statement. Stolen or looks good in a bikini?